My podcast channel where I speak with people from all over the world. YOU could be next!! In this Episode I speak with Vero True Social CEO and co-founder, Ayman Hariri! This was such a great opportunity to speak with Ayman and im very thankful he took the time to speak with me and be on the podcast. We talk about his amazing vintage comic book collection aka "The Impossible Collection" and how & why he decided to start it(along with what his favorite comic is in the Collection)! Im also very grateful that he spoke to me about his late father and how he inspired him and still inspires him and what he learned from him. We also spoke about his experience of being in Batman vs Superman: Dawn of Justice and the friendship with Zack Snyder that started from that. It was great hearing about him getting to meet Henry Cavill,Gal Gadot,and Ben Affleck and bringing some of his comic book collection to the set of the movie. Ayman and I speak about how and why Vero True Social was created by he,his cousin Motaz Nabulsi,and long time friend Scott Birnbaum and why they want to change the social app experience plus why he feels its so important to be a part of the Vero Community. Finally,Ayman takes on my Questions of Torture and Awesomeness. Sit back,relax,and enjoy the show! In this Episode I speak with Children's Book Illustrator, James Hart! We talk about his latest project he did with writer Adam Wallace called 'Cowboy and Birdbrain' and how that came about as well as his friendship and creative working relationship with Adam. We talk about how he got into illustrating and who and what influenced him. We discuss how he decided to challenge himself as an artist and the benefits and rewards that have come from that challenge he made and so much more. James then takes on my Questions of Torture and Awesomeness! This was so much fun and I cant wait for you to listen! ENJOY! In this Episode I speak with Ronnie Simmons and Foxie Kelly aka THE HOTS!! The Hots are making a name for themselves in the world of rock and im so glad they took the time to speak with me. We spoke about being on stage and what that experience is like,dealing with writers block,making their first music video together,how and why they got into music,and so much more. They also took on my Questions of Torture and Awesomeness!! Did they survive? you gotta listen to find out! ENJOY! In this Episode I speak with Figure Skater,Courtney Hicks! We talk about how she got in to figure skating,making the commitment to it,competing for the 1st time,her routine before competing(and what she HAS to eat! ),how she deals with nervousness,as well as the mental and physical part of recovering from injuries,picking her music and choreography for skating,goals for 2019,and so much more! Courtney then takes on my Questions of Torture and Awesomeness! Sit back,relax,and enjoy the show! In this Episode I speak with Writer/Director,Justin Lee! Ive become a big fan of Justin over the past year after watching Big Legend and Any Bullet Will Do(He wrote and directed both movies). We talk about his recent trip to Las Vegas,how he goes about getting ideas and inspiration,when he started to write,his move to Los Angeles,how his friendship with actor Kevin Makely came about as well as how Papa Octopus Productions and the name came about! I loved hearing him talk about filming Big Legend and also the future of Big Legend and the Monster Chronicles(If you are a fan of Big Legend then you don't wanna miss what he says!!!) I also enjoyed hearing about his friendship with Todd A. Robinson and the respect he has for him. Im so glad we got to speak about his soon to be released movie Swell and what that movie means to him and the importance of it and how his grandfather inspired it! This was such a deeply personal,insightful,and fun conversation and im honored that Justin shared so much with me and I cant wait for you to listen. ENJOY! In this Episode I had the pleasure of speaking with artist,Charity Hamidullah! Charity was so great to speak with and she shared so many interesting things about her and her passion for art. We talk about her Artist Residency at The Yards in New York that she recently did and how it helped her grow as an artist as well as the benefits of doing a residency and being around other creatives. We also talk about her career as a tattoo artist,working in the tattoo industry,the honor of working with people that want her to do their tattoos,and so much more. Charity then takes on my Questions of Torture and Awesomeness! This was such a fun and interesting conversation and im so proud to call her my Peep and I cant wait to see whats next for her. Thank you to Charity for taking the time to speak with me and letting my Peeps get to know you! Enjoy! In this episode and the Season 3 premiere I speak with Chloe R Fernandez! Chloe is truly an inspiration and this conversation was so much fun! Chloe is an author of her own book(PCD Has Nothing On Me),a Model,an Actress,a 2017 WebMD Health Hero Award Winner,and a health advocate for those with Primary Ciliary Dyskenisia( aka PCD). Chloe at 12 years old has already accomplished so much and has such an amazing personality and outlook on life and obstacles. We talk about her daily life of living with PCD and how important it is to be positive and also how it sometimes can be frustrating but also important to use that as motivation, we also talk about some of her fun experiences in the past 2 years....her experience on walking the runway at New York Fashion Week,her surfing and piano lessons,making her very first speech,signing her autograph on her very own book,and so much more! She also takes on my Questions of Torture and Awesomeness. Im proud to say I am on Team Chloe and you will be to when you listen to this episode! Thank you to her mom(Leslie) in making this conversation happen. (A special thank you to Antonia Kay for the Season 3 Intro and to Marty Usery for doing the Season 3 music! 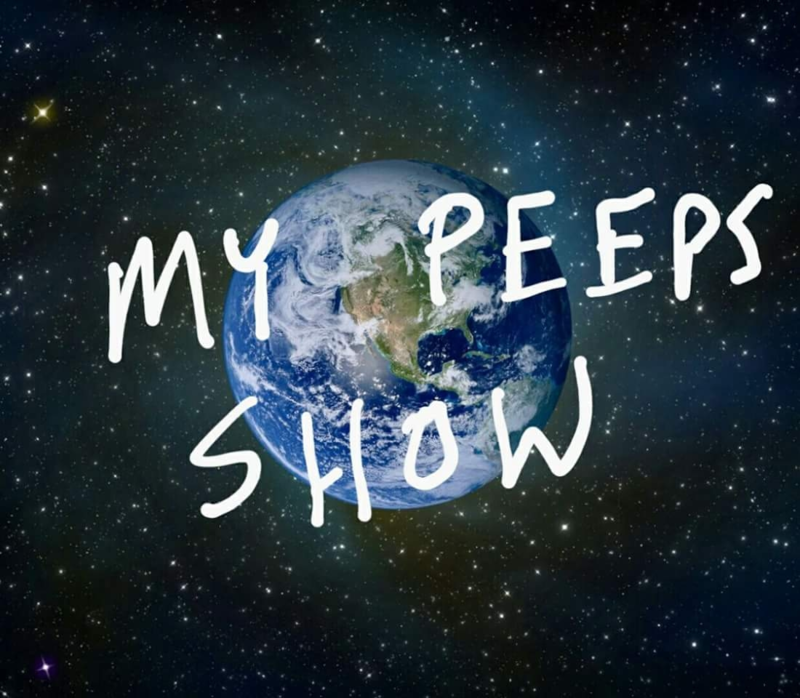 This My Peeps Music episode will be in a radio style setting where I play music from Independent Artists from around the world. I will also play short snippets of the artists talking about their songs. The artists include Antonia Kay,Ben Hobbs,Carson Hill,Marty Usery,PTTN(Crystal Casey and Joseph Beaty),and The Maitlands! This was so much fun to make and a very special thank you to all of the artists that allowed me to share their music. ENJOY! In this Episode I speak with actor Kevin Makely! Kindred Spirits...that's the best way I can sum up this episode! I was so excited to speak with Kevin as I am a big fan of his and he did not disappoint. its one thing to get to hear someones story and to be allowed to share it with my listeners but its a whole other thing when you feel that you make a friendship as well and that's exactly what this episode was to me. Kevin is the star of 'Big Legend' and 'Any Bullet Will Do'. I love both movies and im so thankful Kevin took the time to speak about them both. We spoke about what inspired the movie Big Legend and also working with legendary actors as well. We also talk about working with his costar/friend Todd A. Robinson and also friend/director Justin Lee. You can hear Kevins passion and love for movies throughout the entire conversation. Kevin also takes on my Questions of Torture and Awesomeness! I cant wait for you to listen to this episode. ENJOY! In this Episode I have the honor of speaking to James Jude Courtney who is playing Michael Myers in Halloween(2018). This was such a fun episode and Im so thankful James took the time to speak with me. We spoke about so many cool things....from his first movie 'The Freeway Maniac(1989)' and how it prepared him for playing Michael Myers all of these years later and the crazy similarities in Arthur(his character from Freeway Maniac)and Michael Myers! We also speak about how he got the opportunity to play Michael Myers,working with the legendary Jamie Lee Curtis,meeting and working with the original The Shape Nick Castle and making a new friendship with him,putting on that iconic mask for the 1st time,being a part of the Halloween legacy now,and so much more! James then takes on my Questions of Torture and Awesomeness....did he survive? well you wont have to wait until Halloween to find out..Listen Now! Thanks for your support and Thanks to James Jude Courtney! Happy Halloween,Peeps!